The first time I voted in the French presidential elections in 2007, there were no primaries. In 2012, the main parties held their own primaries but it was an internal vote and you had to be a party member. This year, however, someone has thought up a new system. Anyone on the electoral role can participate in the primaires citoyennes as they call them (citizens’ primaries). The centre and right wing parties held theirs in November and the left wing and environmentalists in January. There is no obligation to participate in the primaires on the part of the presidential candidates (Far Left Wing candidate Marine Le Pen abstained, for one) but those who do participate must agree to respect the outcome. Any political party or group can ask to be part of the primaires and the parties set their own rules about deciding who will represent them. Voters in the right and centre primaires had to sign the following on their honour: “Je partage les valeurs républicaines de la droite et du centre et je m’engage pour l’alternance afin de réussir le redressement de la France.” (roughly, “I share the republican values of the right and centre and I am committed to the principle of alternation [of political parties in government] for France’s successful recovery”. To auto-finance the ballot each person contributes 2 euro each time they vote. As in the presidential elections, there are two rounds. A total of 4.27 million people voted in the first round in November. The winner was François Fillon from the Republican Party with 44.1%, followed by Alain Juppé, 28.6% and former president Nicolas Sarkozy, 20.7%. The other 4 candidates obtained less than 7% of the ballots. During the second round, Fillon scored 72.89% while Juppé didn’t do much better than the first time with 27.11%. All but one of the France’s 95 départements (administrative divisions) voted for Fillon. A total of 1.65 million people voted in the first round. Benoît Hamon came out on top with 36.03%, followed by Manual Valls, with 31.48% and Arnaud Montebour with 17.52 percent. All three are members of the Socialist Party. The other four candidates totalled 13.66%. During the second round, Hamon headed the list once again wiht 58.37% and Valls 41.63%. Once again, all but two départements (not the same ones!) voted for Hamon. The total number of voters on the electoral roll in France is 44.8 million. There would seem to be another 3 million who have not registered. In both lots of primaires, it would seem that about 15% of the voters were from the other side! Since then, right wing candidate François Fillon has somewhat tarnished his image. His wife, Penelope, was paid €830,000 to be a phantom parliamentary assistant, his children received another €84,000 as his equally phantomesquechimerical assistants while they were still students; Penelope is also said to have been paid €100,000 as a literary consultant although there is no evidence of any output. Fillon himself may have embezzled funds when he was a senator and he omitted to declare €200,000 in earnings as a senior advisor for a company called Ricol Lasteyrie. He seems to have little choice but to dip out although he has asked for two weeks to make up his mind. Juppé, the next in line, declared yesterday that he would not be “plan B” after François Fillon. He has a somewhat shady background as well. Meanwhile, the Socialists are seriously divided about Benoît Hamon’s politics and many are debating about whether to follow Macron, President Holland’s extremely young finance minister from 2014 to 2016 who founded a breakaway party, “En marche” in April 2016 and chose not to participate in the primaires citoyennes. Where all this will lead to, it’s hard to say. Marine Le Pen is certainly rubbing her hands with glee. The presidential elections are scheduled for 23rd April and 7th May. Vive la France! 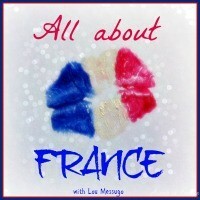 This post is a contribution to Lou Messugo’s All About France link-up. For other posts about France, click here. This entry was posted in France, French customs and tagged benoît hamon, françois fillon, french politics, French primaries. Bookmark the permalink. Following closely. As you say, the next two weeks will be decisive. My guess is that young Macron will get in. He has been given a remarkable opportunity, which I think is more luck than his political astuteness. With Fillon out and the other two candidates representing the extremes, he can glide through charming all and sundry and never really revealing any policies. To be fair to him though, he has indicated that he is pro-Europe and has praised Angela Merkel for allowing refugees in, which he need not have said, and will not win him many votes at the moment. A Le Pen win will be really frightening, and she and her team are machiavellian enough to do it this time. Macron will really have to watch his step. Hamon is the best candidate I think, but will France take the lessons given by Brexit and Trump and vote for him? Sadly, I suspect not. Fillon of course is a gonner. Thanks for explaining the French voting system in layman’s terms. It will be interesting to see what Fillon decides to do. I hadn’t realized that it cost money to participate in the primaries! Interesting. The whole primaries idea seems to have changed the way that presidential elections happen in France, but the recent news is surely having an even greater impact. We shall see what happens in April and May! As immigrants to France – from the UK – we have no vote (other than for our village council) so we watch with bated breath who gets elected and more importantly why! contrairement à la première affirmation de l’article ci-dessus, les primaires 2012 du parti socialiste français étaient ouvertes à ” toute personne inscrite sur les listes électorales s’engageant, sur signature, à respecter ses valeurs et participant aux frais d’organisation à hauteur d’un euro “. Il n’était donc pas nécessaire d’être membre de ce parti. Il est néanmoins exact que les autres partis en présence ont procédé en interne à la désignation de leur candidat. Bonjour Janet, merci de cette précision. Voting is everyone’s right. One must vote wisely. But sometimes there isn’t much choice!